What does it take to be a brave and courageous leader? How can emotional responses be channeled effectively in the workplace? 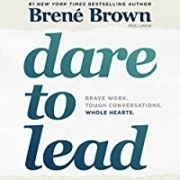 Based on interviews with hundreds of global leaders, research professor Brené Brown – whose TED talk is one of the five most watched – summarizes the learnable skills that underpin daring leadership, and shows how embracing vulnerability helps you to lead even when you aren’t sure of the outcome. Once you embrace the power of vulnerability, you can stop avoiding difficult conversations and being afraid to accept new ideas and start trusting and building resilience. Research professor Brené Brown interviewed hundreds of global C-level leaders over a twenty-year period. Her research shows that there are four learnable skills that underpin daring leadership: embracing vulnerability, living core values, braving trust, and developing resilience. A daring leader is someone who takes up the responsibility to find the potential in people, and who is committed to develop that potential. Brown’s TED talk, “The Power of Vulnerability,” is one of the top five most-viewed TED talks in the world. She defines embracing vulnerability as having the courage to show up when you can’t be sure of the outcome. Trust holds teams and organizations together. Companies with high levels of trust beat the average annualized returns of the S&P500 by a factor of three. There are seven behaviors that build trust over time: boundaries, reliability, accountability, vault, integrity, nonjudgement, and generosity, i.e., braving. Learning resilience must come first. Leaders invariably try to teach resilience skills to their teams after there’s been a setback or failure. But that’s like trying to teach a skydiver how to land after they’ve hit the ground or even as they’re in freefall. Brown’s team asked a thousand leaders to list behaviors that earn team-members positive recognition. The most common answer: asking for help. Google’s five-year study of highly productive teams found that the most important dynamic that set successful teams apart was psychological safety—team members feeling safe to take risks and be vulnerable in front of each other. Research shows that leaders must either invest time attending to fears and feelings, or spend more time trying to manage unproductive and ineffective behavior. If a manager is addressing the same problematic behaviors over and over, s/he may need to dig deeper into the thinking and feeling driving those behaviors. One way to cultivate commitment and a shared organizational purpose is to adopt the TASC approach to projects and strategies: Task, Authority, Success, Checklist. Shame is a universal emotion that we all try to avoid. In the workplace shame manifests as favoritism, gossiping, harassment, perfectionism, and cover-ups. The opposite of shame is empathy, connecting to the emotions that underpin someone’s experience. Curiosity about different views and how they may come into conflict—asking questions and reaching out for more information—is essential for building daring leadership. A study in Neuron suggests that brain chemistry changes when we become curious, helping us to better learn and retain information. Daring leadership needs clear values that the leader lives by every day. Melinda Gates says that tying tactics to core values and then explaining them to others makes a leader better able to question their own assumptions. The key to operationalizing core values across the company or workplace is to be very clear on the skills that undergird those values. Set clear expectations for everyone to create a shared language and a well-defined culture. Brown’s research shows that leaders who are trained in resilience are more likely to embrace courageous behaviors, because they know how to get back up after a fall. People who don’t have the skills to get back up are less likely to risk falling. Teaching how to embrace failure as a learning opportunity is especially important today, when millennials make up 35% of the American workforce. The most effective strategy for recognizing an emotion is to practice what soldiers call Tactical Breathing. As a leader, it’s important to recognize that people will make up their own stories during a time of upheaval or stress, and without data they will start with their own fears and insecurities. The daring leader gives people as much data and facts as possible so that their stories are more complete. To be a daring leader, one who is not afraid of change and new challenges, you must embrace vulnerability, recognizing it not as a form of weakness but as a willingness to acknowledge when you don’t know all the answers. Instead of protecting the ego by avoiding difficult situations, embrace vulnerability by encouraging empathy, curiosity, and shared purpose. Operationalize the organization’s core values; and, build trust by setting clear boundaries and being reliable and generous. Build resilience by recognizing when a situation or emotion has a hold over you; learn how to recognize and accept the emotion and create a story that you can control. How can you succeed in the contemporary economy where creativity and conceptual work are increasingly valued? How do you motivate your employees to contribute their best to the company’s goals? The answer to both questions is to recognize that traditional notions of management—using carrots and sticks to motivate workers—are outdated. People do their best creative work when their intrinsic motivation is awakened. 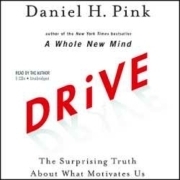 Drive explains the new insights into human motivation uncovered by behavioral scientists and shows how you can tap into the human desire for autonomy and purpose to transform how you live and work. Over the past few decades behavioral scientists have uncovered new insights into human motivation—insights that the business world has yet to discover. Motivation 1.0 was the drive to survive; Motivation 2.0 was based on external rewards and punishments for work done. It was an operating system that saw workers as parts in a complicated machine, needing rewards and punishments to perform routine, algorithmic tasks. 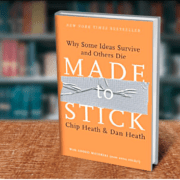 Today’s economies depend more and more on creative, heuristic work. Neither Motivation 1.0 nor Motivation 2.0 can explain the success of Wikipedia; nor are they effective for the kinds of work called for in the twenty-first century economy. The enthusiasm and creativity that are increasingly needed in the modern workplace are actually dampened by the external rewards-and-punishments approach of traditional business. For artists, scientists, students, in fact everyone, intrinsic motivation—the drive to do something because it is interesting and absorbing—is essential for creativity. External rewards crush this intrinsic motivation. Motivation 3.0 calls for a new type of behavior: Type I, or intrinsic motivation. This is based on the innate inner drive of all humans to be autonomous, self-determined, and connected to one another. Outdated notions of management encourage Type X behavior that cares more about the external rewards that a task can bring and less about the inherent satisfaction of a task. Type X behavior is learned, whereas Type I is inherent to being human; traditional management approaches change our human default setting from Type I into Type X. With a focus on personal fulfillment, Type I almost always outperforms Type X in the long run; encouraging Type I behavior is better for people’s physical and mental well-being. Humans are designed to be active and engaged. We are at our best when we are doing something that involves autonomy, mastery, and purpose. Autonomy is not the same as independence; it means acting with choice. Autonomous motivation brings greater conceptual understanding, higher productivity, and less burn-out. People need autonomy over what they do (task); when they do it (time); who they do it with (team); and how they do it (technique). Best Buy has boosted productivity by embracing these concepts of autonomy. Motivation 3.0 assumes that people want to be accountable, and that giving them autonomy will encourage this. Mastery, the urge to make progress and get better at what we do, is essential to making one’s way in today’s economy. The modern workplace tends to disregard mastery and engagement, and instead emphasizes compliance. The only way to attain mastery is through engagement, prizing learning goals over performance goals and recognizing the intrinsic value of effort as a way to improve at something that matters. 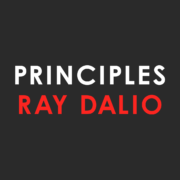 There are three rules of mastery: it is a mindset; it is a pain; and it is an asymptote (something that can be approached but is never attained). Traditional businesses see purpose as ornamental and something that should not get in the way of more important pursuits. Motivation 3.0 realizes that purpose is an essential part of the human condition. Forward-thinking organizations and corporations such as TOMS Shoes recognize purpose maximization alongside profit maximization as an aspiration and guiding principle. They embrace the “purpose motive”—using profit to reach a purpose. You can awaken your Motivation 3.0 by looking for patterns in your daily tasks and asking yourself what are the tasks that produce feelings of flow, that moment of optimal experience when the challenge you face is perfectly matched with your abilities. Make a “to don’t” list of the tasks and behaviors you want to avoid. 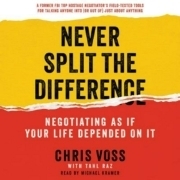 To unleash Motivation 3.0 in your company or group, carve out time for non-commissioned work. As a boss, encourage Type I behavior by relinquishing control. Most businesses have yet to catch up on the insights into human motivation that have been uncovered by behavioral scientists in recent years. 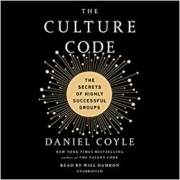 The traditional business view focuses on Type X behavior, using external rewards and punishments to motivate workers. But today’s economy increasingly calls for creative and heuristic forms of work that require Type I behavior that is focused on active and engaged employees with autonomy and a sense of purpose. This is Motivation 3.0, appealing to our intrinsic self-motivation. The most forward-thinking companies recognize the need to embrace this human drive and pursue profit as a catalyst toward a higher purpose. 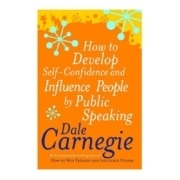 Tap into a new way of thinking about business and ambition by reading this book summary. 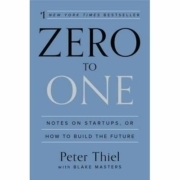 Zero to One will challenge you to think for yourself on topics such as technology verus globalization, business monopolies versus competitive markets, and the mindset you really need to make a difference in the world. Learn from tech superstar Peter Thiel (PayPal, Palantir) and his protégé Blake Masters why the only opportunities really worth pursuing are those that create something truly unique – that go from “zero to one” rather than from “one to n.” And, learn the seven questions you should be asking yourself to find out if what you’re working on passes that test. Creating truly innovative technology requires progressing from “zero to one” rather than from “one to n.” This means creating something entirely new rather than incrementally adding to what already exists. One way to move from “one to n” is globalization, or enabling new markets to access something that has already been created. But, because resources are not infinite, globalization needs to be accompanied by new technologies to make the consumption of goods more efficient and sustainable, or else global ills will result. The world needs startups as an engine to both envision and create the future. Though there has been new technology lately, there are still many aspects of everyday life that are begging for improvement, given the right vision and strategy. The dot-com crash of the 1990s taught entrepreneurs lessons about how to build a business that, when followed today, hinder the development of real technological innovations and sustainable growth. These “rules” should be ignored. Monopolies generate good for the world. If a business has achieved a monopoly, it indicates that the business has truly gone from “zero to one,” and created something for society that did not exist before or improved upon an existing technology to such a degree that it has made the old technology obsolete. To create this sort of change it is helpful to be a “definite optimist” – someone who believes that “the future will be better than the present if he plans and works to make it better.” This kind of worldview enables the vision, gumption, and persistence to go from zero to one. Monopolies are more ubiquitous than we’re led to believe and shape their stories to avoid scrutiny and regulation. For example, if Google is seen primarily as a search engine company, they own 68% of that market. In contrast, if they’re described as playing in the global advertising market, they only own 3.4%. The key to creating a monopoly is to resist copying others’ business models and instead to think for yourself. Prioritize four aspects of your business over a hyper-focus on growth: proprietary technology, network effects, economies of scale, and branding. Rather than initially painting a grandiose vision of global market dominance, the best way to build a monopoly is to start small. Capture a small, specific market with the tentacles to easily branch to related markets over time. Know that venture capital firms typically make their money by finding the one single startup that will outperform all their other investments. The bar really is that high for your pitch. The one single startup that will outperform all the others in a VC’s firm’s portfolio has solved a previously unaddressed problem or need in the world. In other words, they have unearthed and solved a “secret.” The good news is that, despite common knowledge, there are many secrets left to find and solve. The foundation you set for your startup is disproportionally important to the success of your company. The most crucial aspects to get right are related to personnel – selecting your co-founder and board. Offering equity as a form of compensation can be a good way to weed out those who lack the long-term commitment to and passion for the vision of your venture. The CEO of a startup should either receive the lowest salary at the company (and set an example of frugality) or the highest salary at the company (setting a maximum compensation), though if high it should be modest. If not, he or she risks getting too comfortable. Humans have nothing to fear from technology’s increasing presence in the marketplace. Instead, technology will create more opportunities for humans to do what they are uniquely good at, while the machine fills in the gaps by doing what is difficult for humans. Because it requires a distinctive vision to go from zero to one, successful founders are often eccentric individuals not afraid to pursue a seemingly eccentric vision. This explains both why founders are so successful and also why they can become scapegoats for corporate dysfunction. You don’t have to be the founder of a brilliant company to benefit from this knowledge. As an employee, search for these qualities in the companies and leaders you work for to ensure you have the right support to develop and to keep exploring new ideas. Zero to One is about the value of true innovation made accessible to the masses through startups. 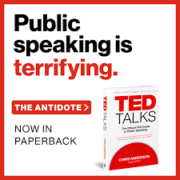 It outlines several tenets that keen-minded business people should hold dear, including why technology trumps globalization, why we should be supporting monopolies instead of “healthy competition,” why successful innovators have the worldview of a “definite optimist,” and why no one should be afraid of losing their job to a robot. Zero to One also delivers unique business insights, such as the four most important things to pay attention to about your product (hint: they’re not quantitative) and the seven questions every business must answer for itself.